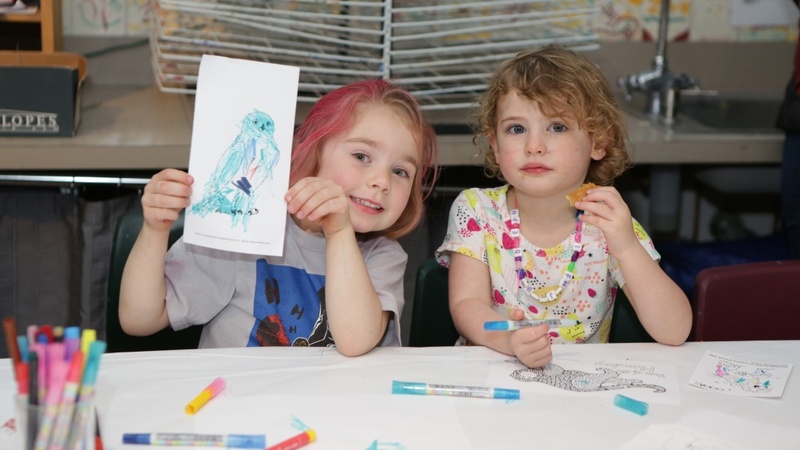 The Jordan Schnitzer Museum of Art invites families to spend a day at the museum enjoying free activities at “Exploring Art Through the Senses” on Saturday, May 19. The event runs from noon to 3 p.m. The free family day will be filled with art activities for children of all ages, and each activity will highlight one of the five senses. Art-making activities include watercolor painting and making textured maps, tissue paper sun catchers, and pop-up cards. Parked on the north side of building between the museum and Chapman Hall will be Imagination International’s Artie the Art Bus, in which families can create additional art activities. Performances throughout the day include storytelling with Cynthia Olsen from the Eugene Public Library reading Bob Raczka’s book “More than Meets the Eye: Seeing Art With All Five Senses”; “The Tiger and the Monk,” a puppet performance by the Dragon Puppet Theatre; and “Fantastical Fairy Tales,” a special performance by Ballet Fantastique showcasing lighthearted takes on traditional fairy tales. The public is also invited to attend the young artist reception for the 11th annual NewArt Northwest Kids exhibition at 11 a.m. the same day. Family Day is sponsored by the Cheryl and Allyn Ford Educational Outreach Endowment and Imagination International Inc.